The US-North Korea ‘Trump-Kim’ Summit is happening tomorrow morning just a few miles from me! 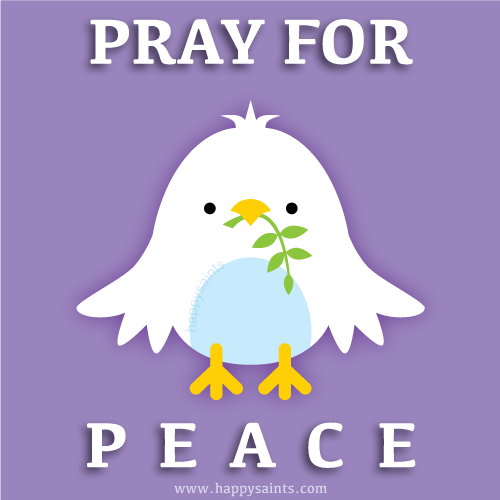 Let’s all pray for peace in our world! Heavenly Father, we ask for the outpouring of Your grace on the momentous US-North Korea Summit here in Singapore on 12th June. We all desire to live in a world where there is peace, fraternal love, concern and charity for each other. Without peace, there can be no security, no progress and future for humanity. Lord, we pray You will enlighten the political leaders to work for peace, justice and social order in the world. May this be the start of a continuous effort to building strong relationships, freed from the burden of fear and the weight of suspicion. May nations learn to trust each other and work towards world peace for all human kind. 30% Happy Saints Mid-Year Sale!